WhatsApp Business App Hits 5 Million Active Business Users.WhatsApp Business app was launched in January 2018 and is growing at a rapid speed. Bengaluru-based eyewear brand Glassic has had 30% of its new sales generated through WhatsApp Business, said that company. 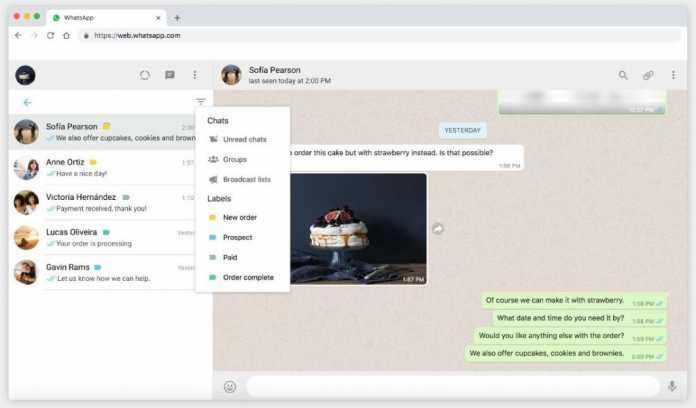 WhatsApp has also announced that some of the most popular features can now be used on WhatsApp web and desktop. These features include Quick Replies – these are frequent messages to answer common questions. Simply press the “/” on your keyboard to select a quick reply and send; organize your contacts or chats with labels, so you can easily find them again; Chat List filtering where you can easily manage your chats with filters to sort by unread messages, groups or broadcast lists. WhatsApp Business users can now use these features on the web to get things done more easily.